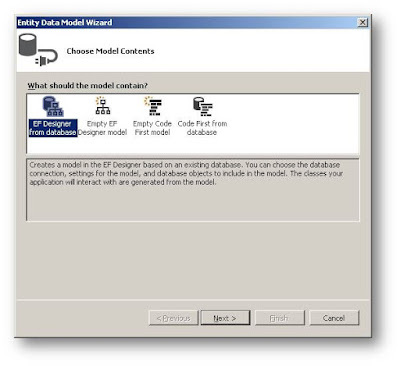 In this lesson we are going to use Entity Framework(EF) with MVC(Model-View-Controller) to carry out select, insert, update and delete operation. We would see the forms and tables generated easily for us, without writing codes. Believe me, this is would be the easiest lesson so far in this series! I personally could not believe it when I saw it work like magic! 1. Create an Web Application Using Web API Template. 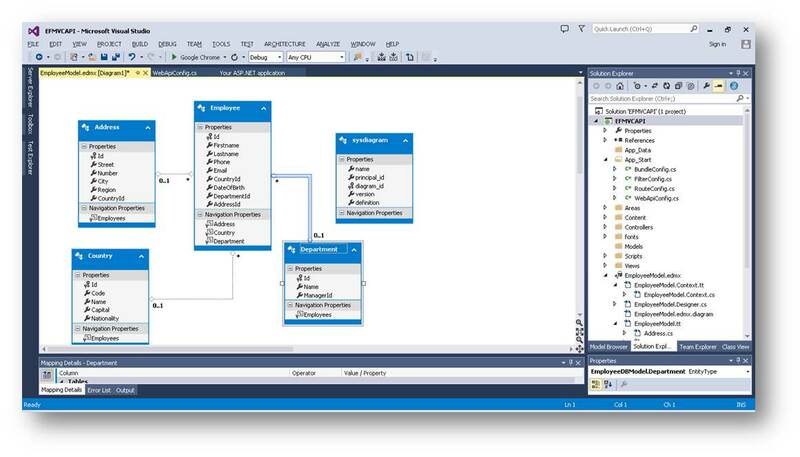 Model: This folder contains the classes for your entities – which corresponds to tables in your database. 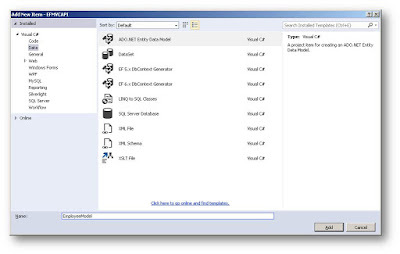 Controller: This folder contains the controller files for each of the the model (table). 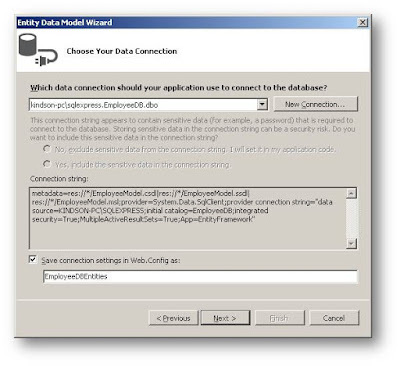 The controller file controls how the data from the table is access and displayed on a web page. 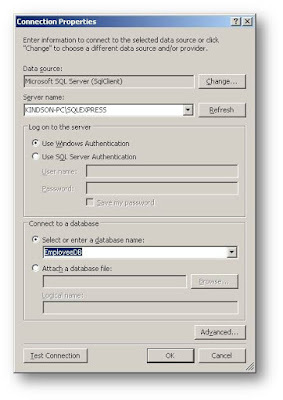 Before you continue with this step, make sure you have create the Employee database in SQL Server. Right-click on your project and Add new Item. 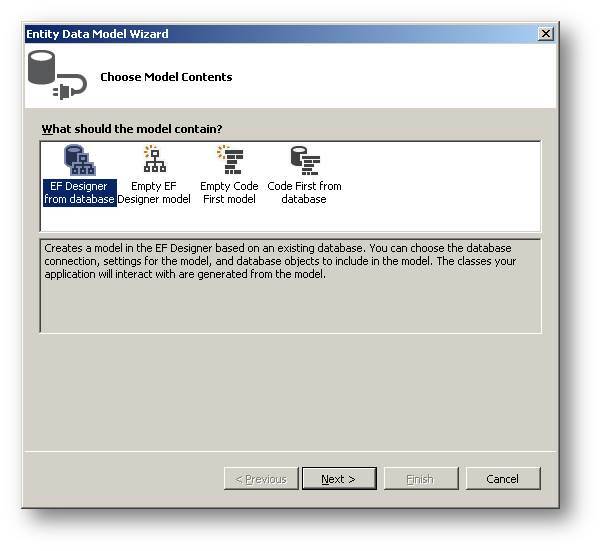 Make sure that the EF Designer From database is selected. Click on Next to display the Database Connection definition step. 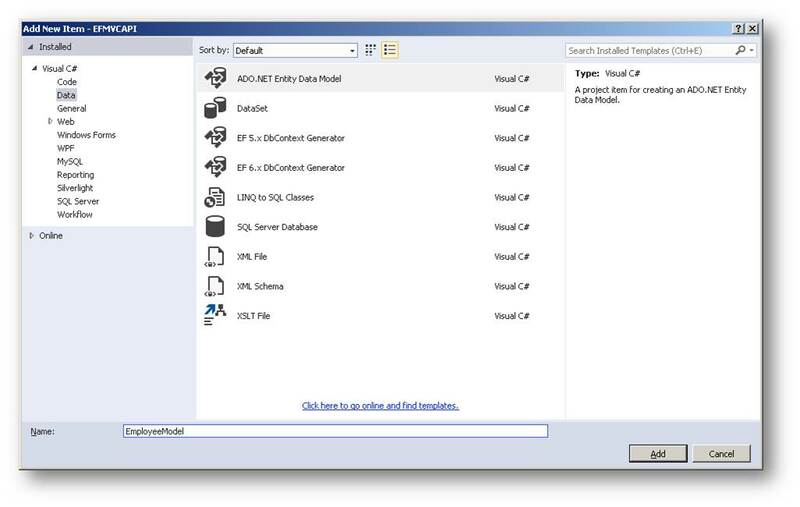 Click on New Connection and specify the New Connection properties. In Figure 5, the Connection Properties have been defined. After defining the new Connection, Click OK, then Click Next. Click on Next again. 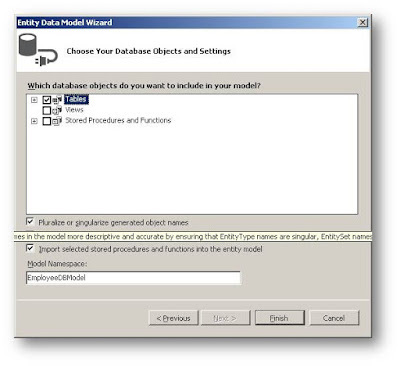 When you get the the last step of the Wizard, Select Tables as shown in Figure 7. Examine the Classes generated. Expand the EmployeeModel.edmx to view the classes generated for each of the tables. For example, the generated class for the Address table is given in Listing 1. Isn’t this amazing! All codes written for us. 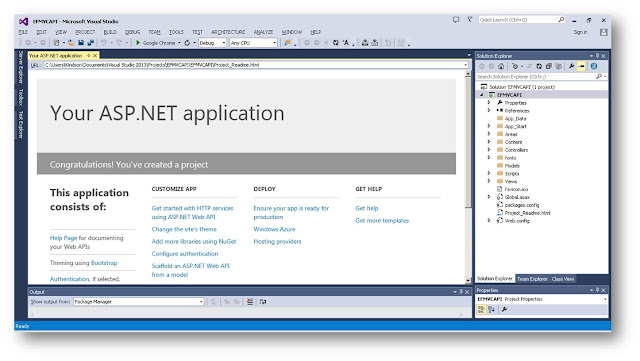 Thanks to Entity Framework!.